Johnson Controls has introduced the Champion Brand of Heating and Cooling products. Introduced in 2015, the Champion Brand of products is a full line of HVAC Heating and Cooling products. Champion HVAC products are distributed through a national network of dealers and customer support by Noland and Winn HVAC and Plumbing supply houses. Champion offers an enhanced Lifetime warranty on residential compressors along with an 10 year parts warranty, 1 year manufacturer labor warranty and an additional Extended 10 Year Factory Labor Warranty on all heating and cooling equipment. Johnson Controls designs and manufactures the products in the USA using American made materials and electronics along with York Brand,Coleman and Luxaire Commercial and Residential Heating and Air products .All parts are readily available through any Champion or York parts supplier and service company. ECS Inc. offers the full line of Champion Products and Johnson Controls HVAC digital thermostat control systems . 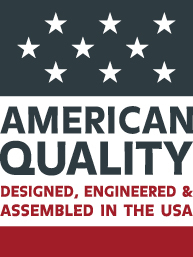 Please contact us for more information on these high quality products made in the USA.